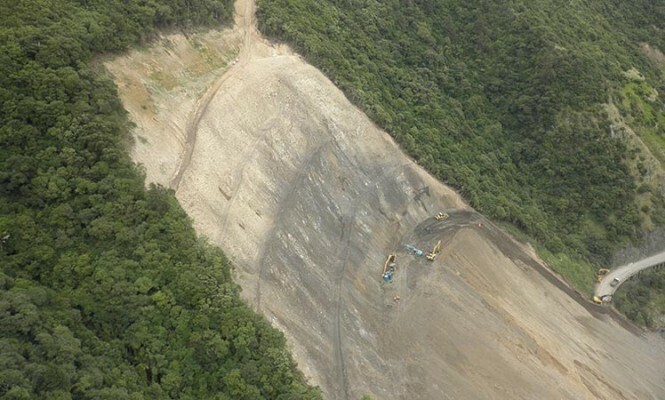 Higgins was the lead contractor on the Manawatu Gorge slip project which blocked SH3 between Palmeston North and the Wairarapa in 2011. The road was blocked by this slip for almost a year and it had a significant impact on the regions community. Throughout the project, the team were focused on providing as much information on the project progress to the community whilst working collaboratively to clear the slip quickly and safely to allow traffic through the site at the earliest time. The NZTA Award recognised the teams efforts to 'Go the Extra Mile' for the community during this project.